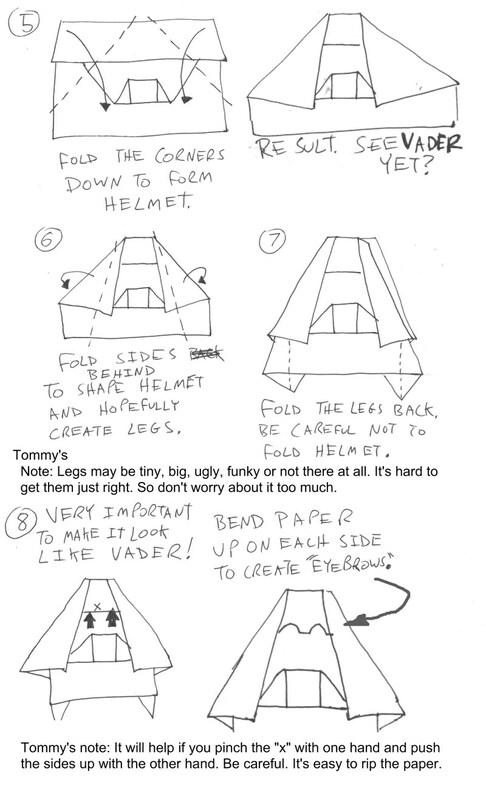 The Strange Case of Origami Yoda by Tom Angleberger is not a book about origami. It's about being 12 years old and all the things pre-teens experience and worry about during an average day in middle school. But there is origami: an Origami Yoda in the form of a finger puppet. Class misfit Dwight has always been quirky so no one was surprised when he showed up to school with an Origami Yoda on his finger. What was surprising was that Origami Yoda (speaking through Dwight) could predict the future and give advice that was actually useful. Soon all the six graders were lining up to hear Origami Yoda's words of wisdom. But was this Origami Yoda for real? 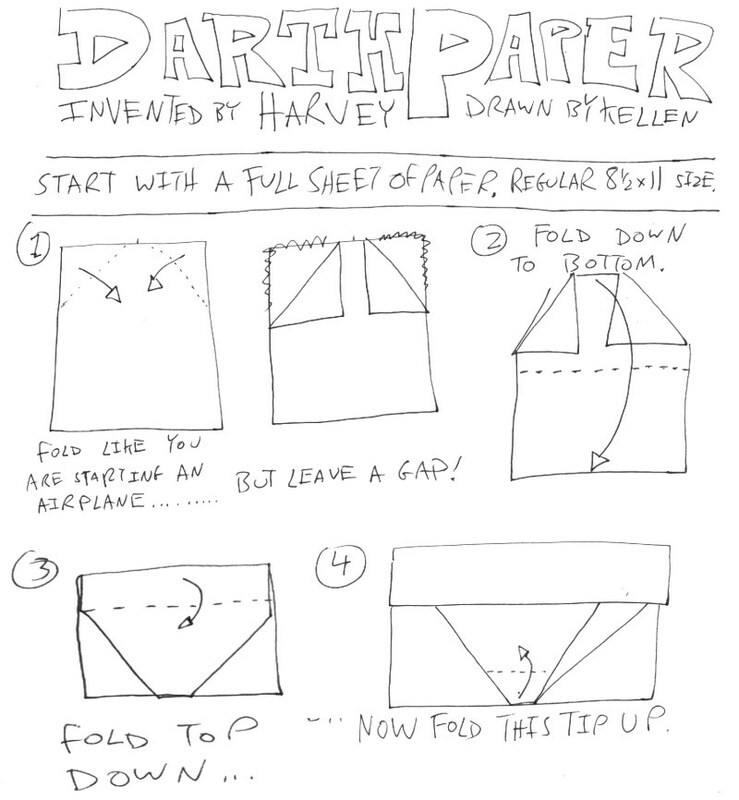 Did this piece of folded paper really have access to the Force and the powers within? Or was Dwight making them all look like fools? Main character Tommy was intent on finding out the truth - he needed to know if Origami Yoda was real or not, otherwise he's doomed! The book is written in first person with each chapter written by a different 6th grader who has received advice from Origami Yoda. Tommy collects these stories and analyzes them to determine if Origami Yoda is a Joke or a Jedi. This book is perfect for kids 8 through 12; fun, easy to read, and filled with problem which are quickly resolved. About 150 pages long: the pages look like they have been crumpled and smoothed out again. Caricatures and cartoons are scribbled along the margins to give you a "journal" feel. 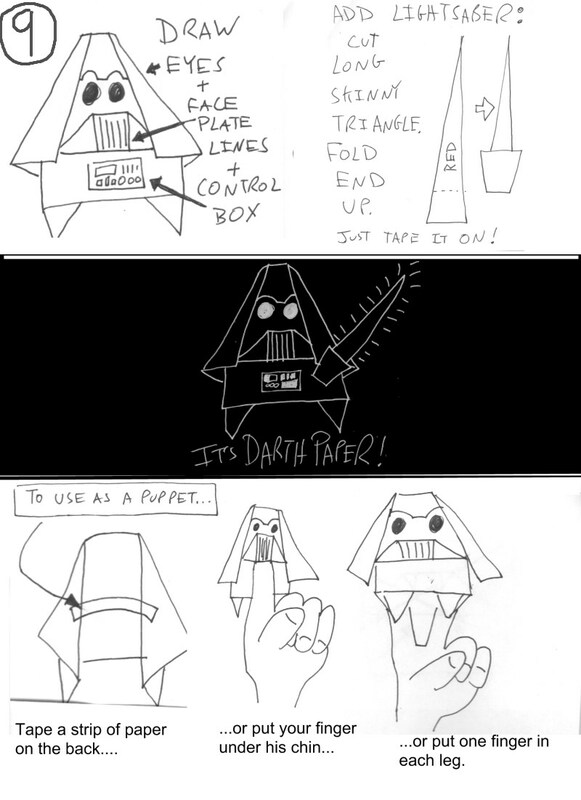 Best of all, the book includes instructions to make your own Origami Yoda finger puppet (shown below from left to right: easy Yoda, intermediate Yoda, and Yoda from the book: instructions listed below). - looking inside yourself and making the right choices. I suppose it is about Origami and Star Wars because the first brings people together to have fun and the second is about doing the right thing.